Cod, fresh or especially salted and/or dried, has long been a staple of the peoples living along the Atlantic coast of Europe (and probably of America and Canada too). Now cod is becoming rare, but in the last couple of centuries, men in rather small boats would leave on extended trips to colder waters around Iceland and Newfoundland, braving dangerous seas and foul weather, to earn a living catching this precious fish. Nowadays trawlers are small factories, with freezers. Then the fish was gutted, spread open, salted and dried, and the result was a sort of elongated triangular board. It is still sold like that, the cook must soak it for days to ready it for cooking. But it is also sold rehydrated in vacuum packs, which only need soaking for a matter of hours to rid it of excess salt. The taste is quite different from fresh cod and the Portuguese especially are past masters at preparing it. One of the most famous and delicious dishes using salt cod is the French Caribbean recipe for accras de morue, crispy mouthfuls of fiery fish and chili, which I shall certainly publish here one of these days. 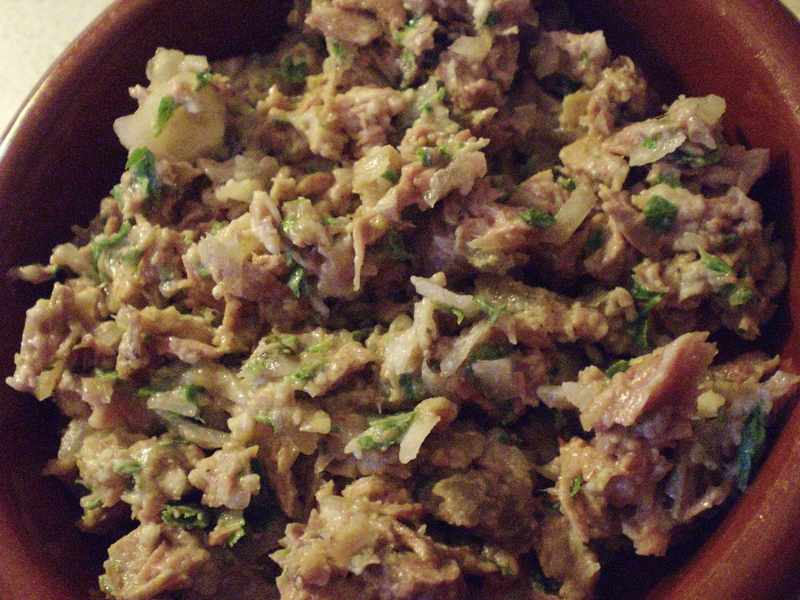 And brandade de morue, a sort of garlicky mixture of mashed potato and salt cod. 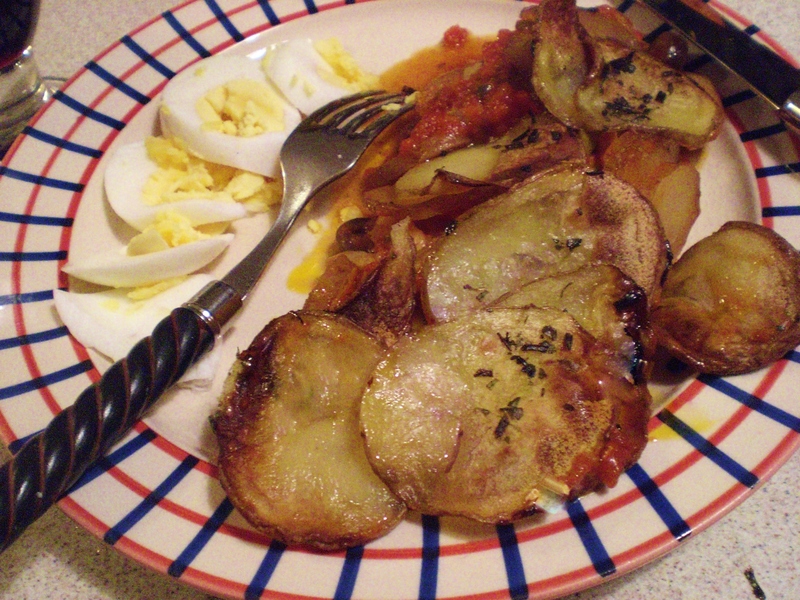 My recipe today is for morue à la portugaise, a dish of baked cod layered with a little tomato and a lot of potato, the top layer of which crisps up beautifully in the oven. 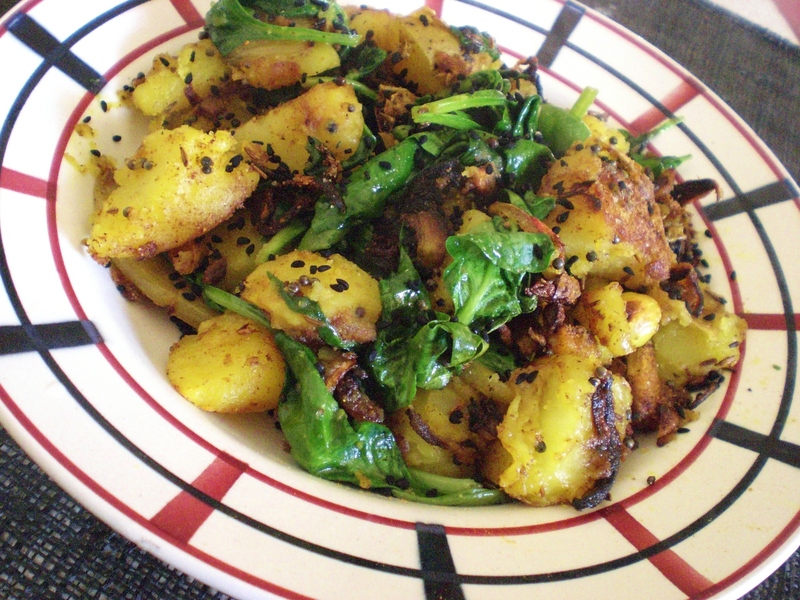 It should be eaten as soon as it is cooked, it does not re-heat well especially because the potato loses its crackle. Soak the pieces of cod for about 10 hours changing the water regularly (unless you have found already de-salted cod). Carry out this stage carefully; nothing worse than going to all this trouble only to find your dish is too salty to eat. Tear the cod into large bite-sized pieces or strips. 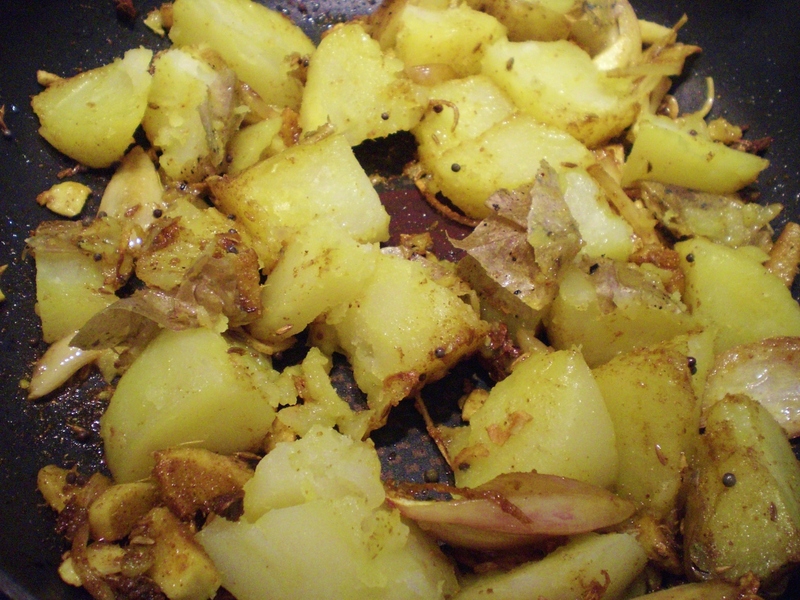 Wash the potatoes (no need to peel them) and cut into very fine slices (1mm or 2 thick). Fry the onion in a little olive oil until transparent, add the pieces of cod, stir and turn off the heat. 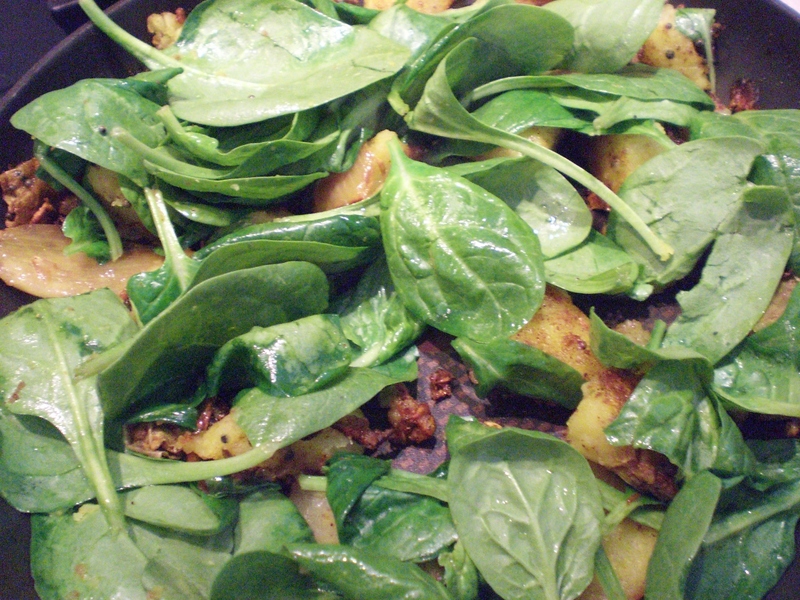 Coat the bottom of a casserole dish with a little olive oil. 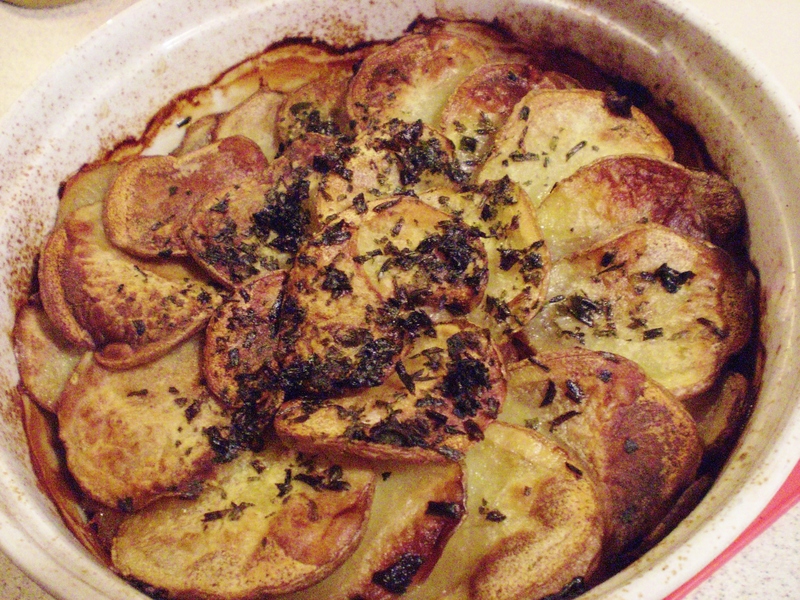 Place a good layer of potatoes in the bottom of the dish. Pour all the cod and onion mixture on top, and add the crushed chopped garlic and a spoonful of olive oil. Grind some black pepper over this mixture, and sprinkle the olives and tomato sauce sparingly over the top. 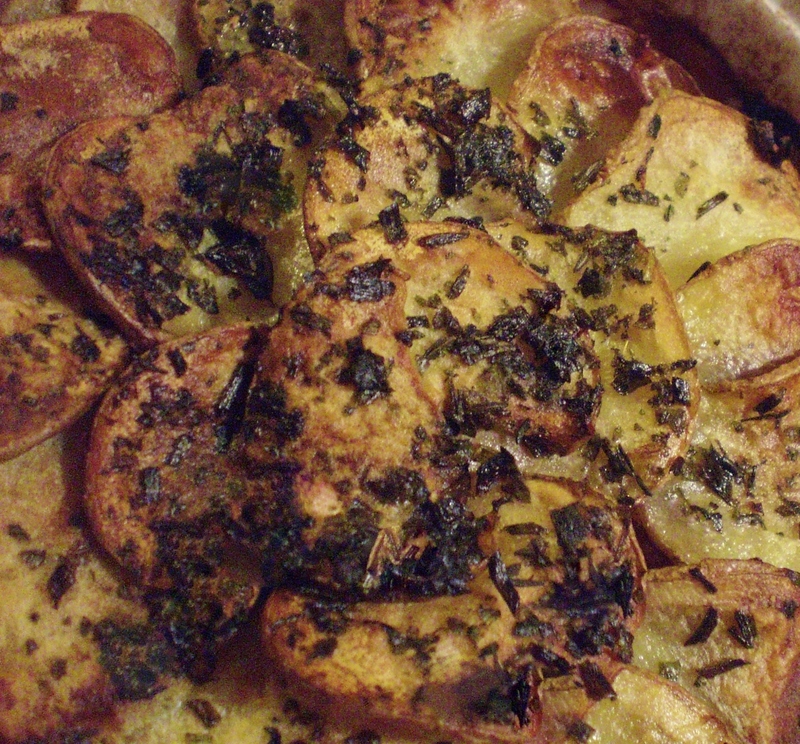 Place another layer of potato on top of this, and end with an artistic layer, carefully overlapping the slices. Pop the dish into the oven for about 45 minutes. 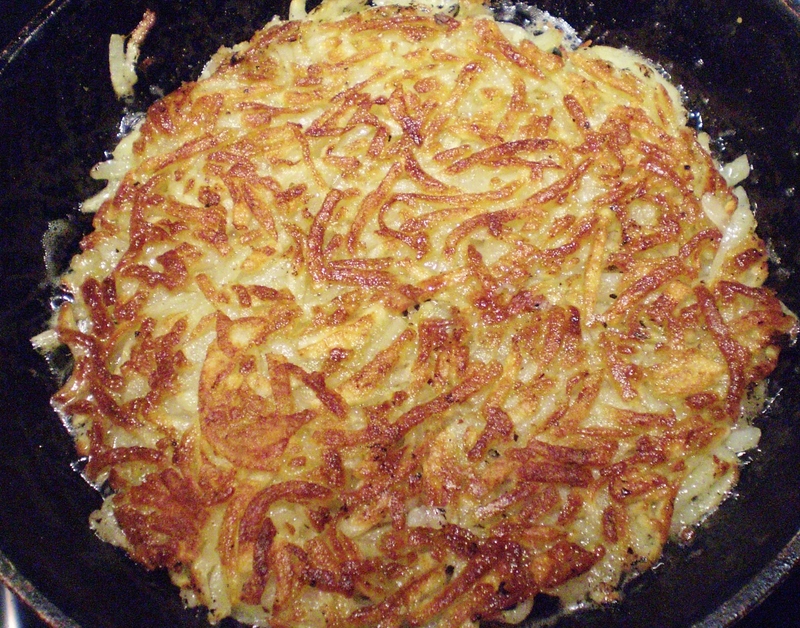 The top layer of potato should be browned and very crispy. 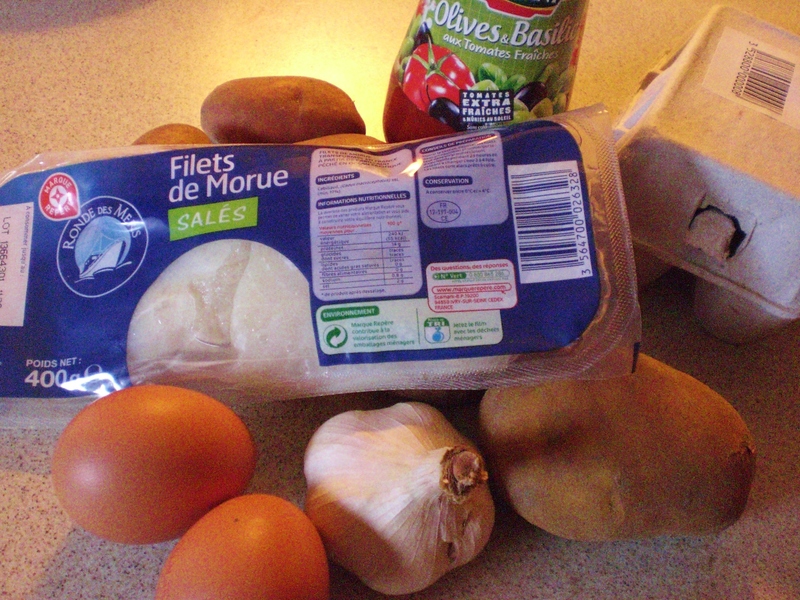 While the cod is cooking, hardboil an egg per person, shell and slice. Serve piping hot with crusty bread, green salad, and slices of hard boiled egg (optional but this is the way it is done in Portugal), sprinkled with fresh herbs. This is not an expensive dish, the only difficulty being to remember to start soaking the salt cod well enough ahead of time. 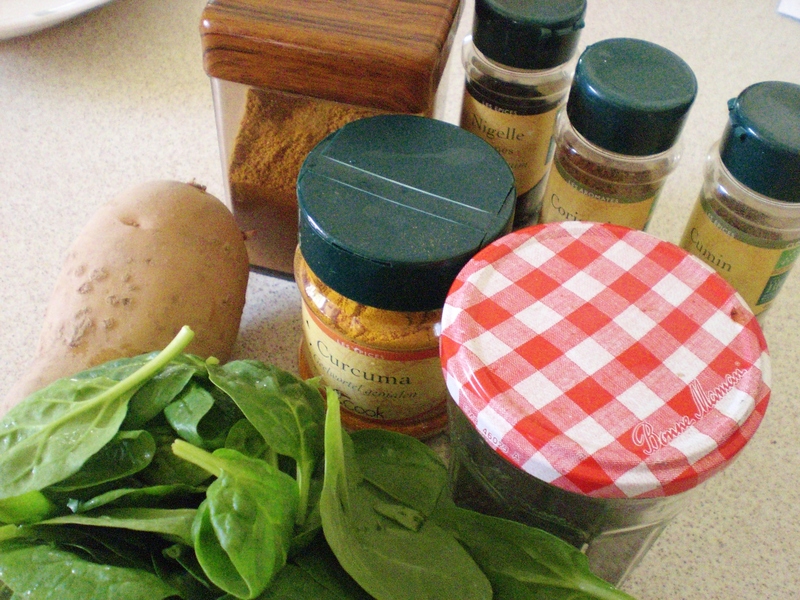 Posted in Feminine Nouns, Fish, French recipes, Main courses, Nouns and tagged Casserole, Cook, France, French food, French language, French pronunciation, French recipes, French words, learn French, morue, Olive oil, portugaise, Portugal, Potato, pronounce, Recipe, salt cod. Bookmark the permalink. 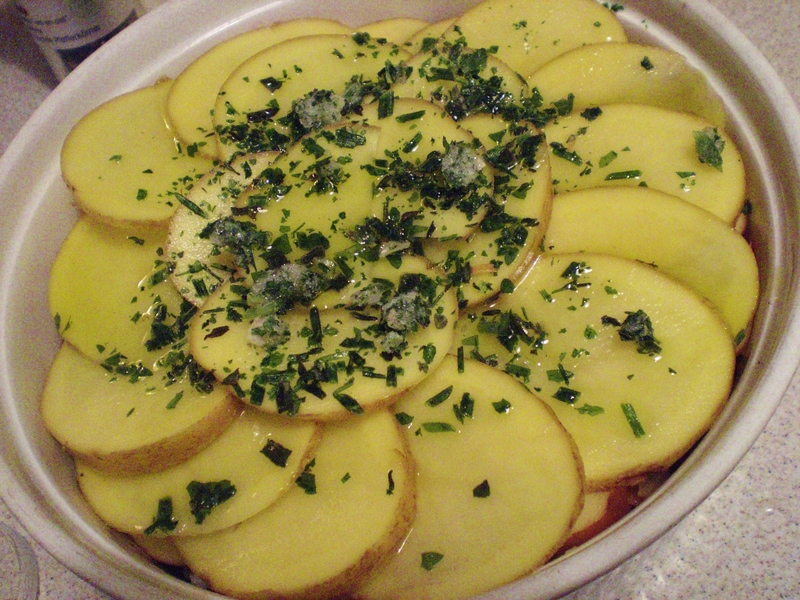 Parmentier, a surname which has become an adjective : parmentier (invariable), denotes a dish in which the potato plays a great part. Pronounced par-maan-tyé, with no particular stress. 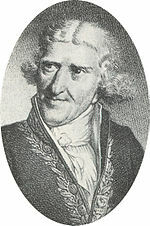 Monsieur Antoine Augustin Parmentier, 1737-1813, was by profession a chemist, whose major work was in agronomy and nutrition. 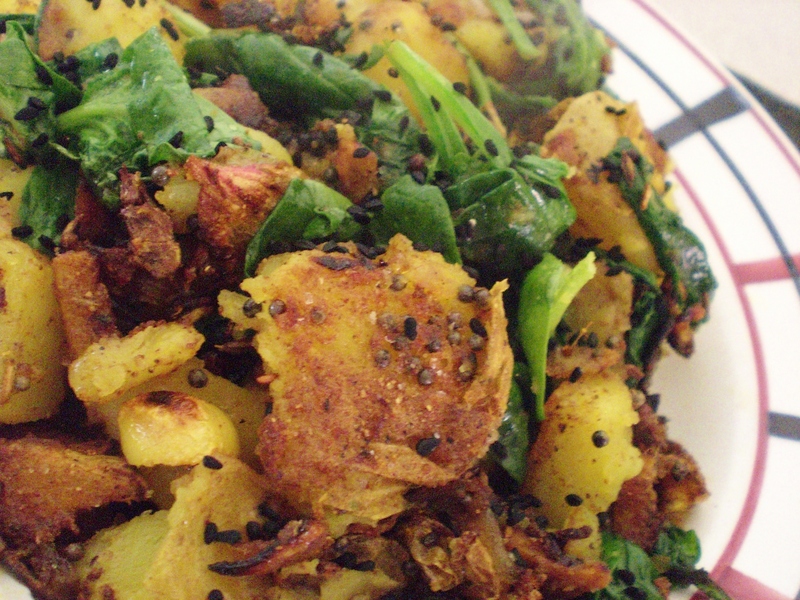 The humble potato arrived in Europe from Peru in the 16th century, but was cultivated simply as animal fodder. Considered unfit for human consumption, it was the work of Parmentier that convinced the Faculty of Medicine in Paris in 1772 that the potato was a useful source of carbohydrate for the starving population. His findings, however, did not convince many people. So he resorted to a ruse to get the population to try the new tuber: he had the potato fields outside Paris kept by armed guards during the daytime, but not at night. Puzzled as to why the fields were valuable enough to be guarded, people came to steal the potatoes by night and found them to their liking. 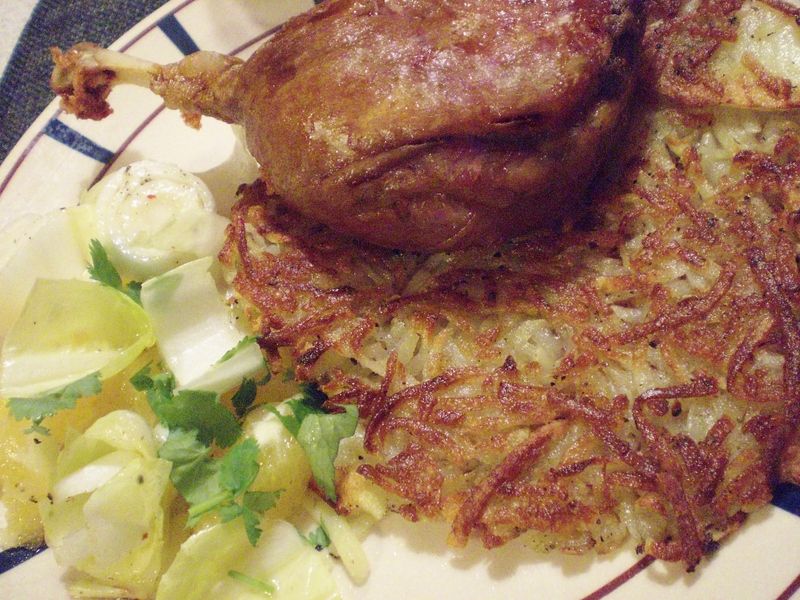 Thank you, Monsieur Parmentier; where would we be without the potato today? 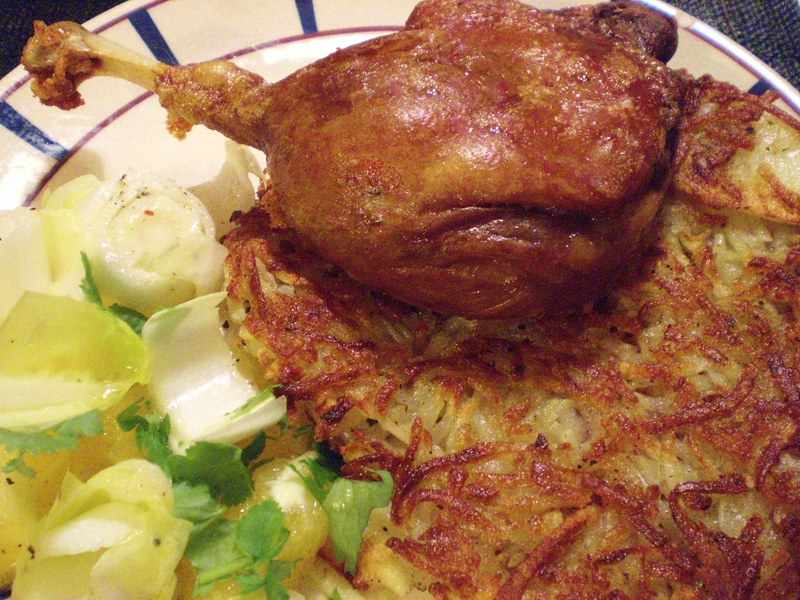 Now you will know if you see “parmentier” on the menu of a French restaurant that we are talking about potatoes. 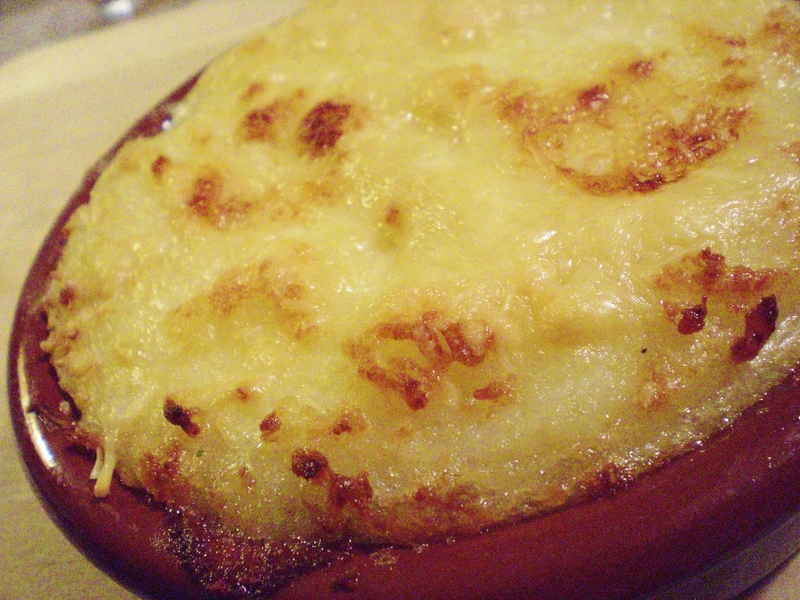 All sorts of dishes are named after him, but the most famous surely is my recipe for today: le hachis parmentier, the French equivalent of shepherd’s pie (hachis simply meaning chopped, here chopped meat). Peel and halve the potatoes, put them in a pan of cold salted water, bring to the boil, and cook for 20 minutes or until quite tender (but not disintegrating). While the potatoes are cooking, cut the meat into large cubes and put into your mixer with the peeled and quartered onion, the washed parsley, and a couple of garlic cloves. Add a dash or two of Worcestershire sauce, a little freshly ground pepper, a little salt (not too much, the meat has already been salted and the potatoes will be too), and the remains of any gravy or meat juices from the meat dish. Grind on “pulse”, coarsely (you don’t want to end up with a paste, it is nice to have texture left, but the pieces of onion shouldn’t been too evident). Place in a fairly shallow serving dish (or individual dishes). 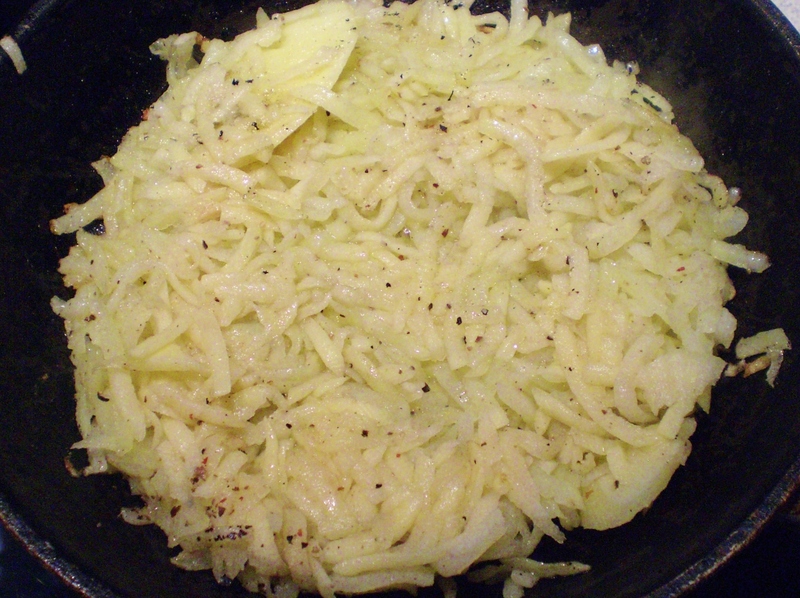 The proportion meat:potato should be about 2/3:1/3. Pre-heat your oven at 160°C. 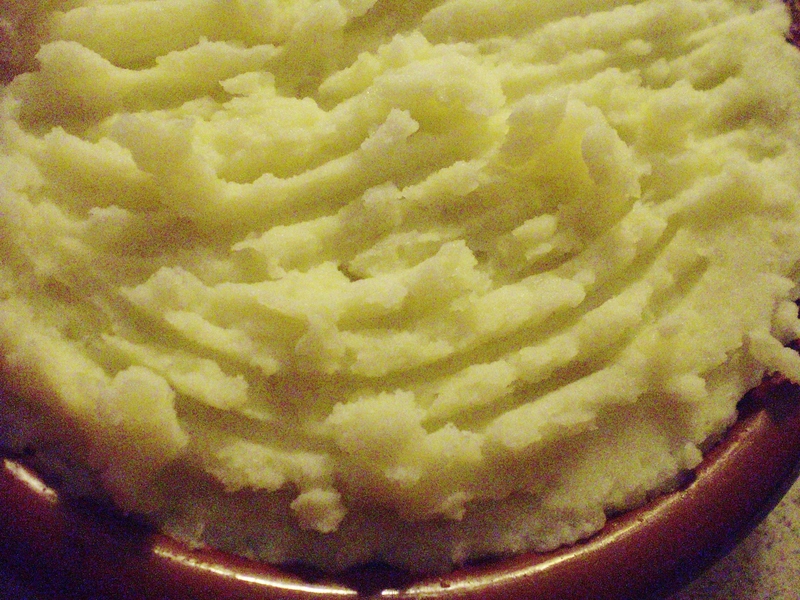 Drain the potatoes, add a large lump of butter and mash with a potato masher or ricer, not in the mixer, as I have said in another post, this makes them goopy. Add cream until the texture seems to you to be pleasing. 7. 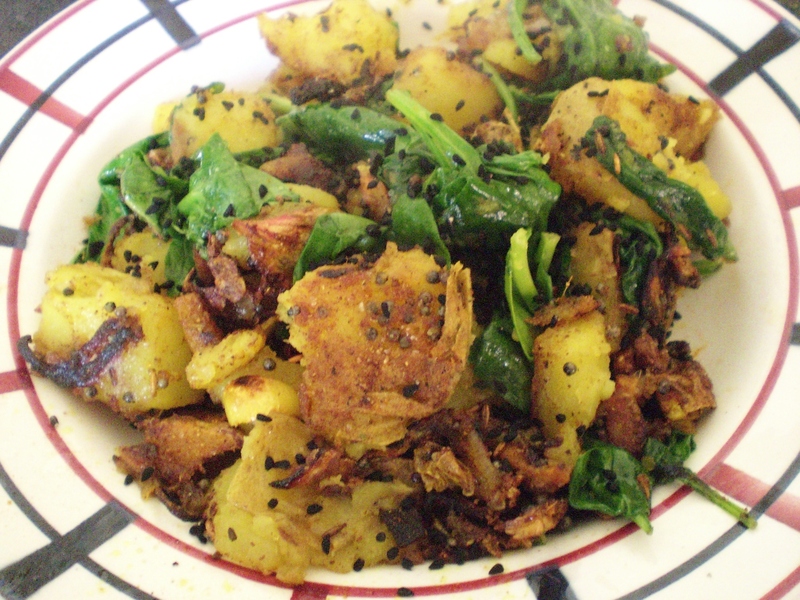 Spread a layer of potato over the meat in your serving dish or dishes. 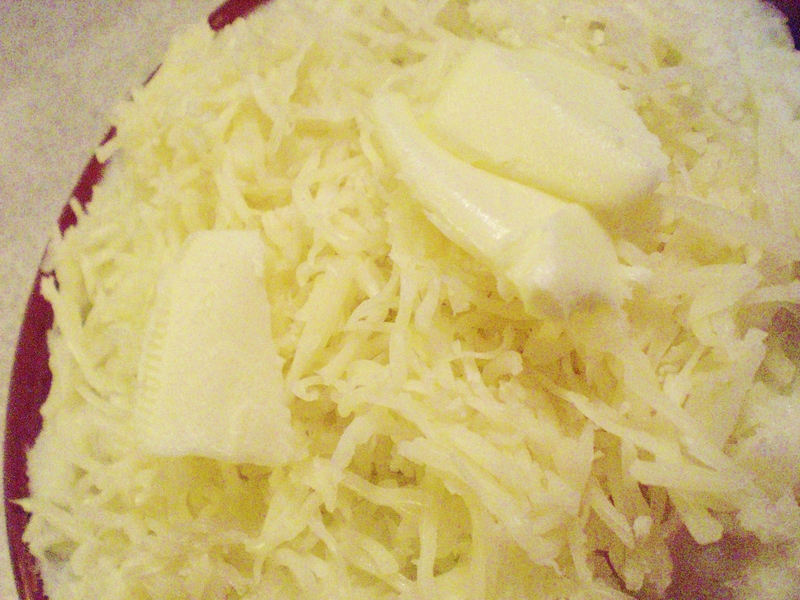 Make pretty marks on the top with a fork, sprinkle with grated cheese (optional but delicious) and pop two or three little pieces of butter on top. 8. 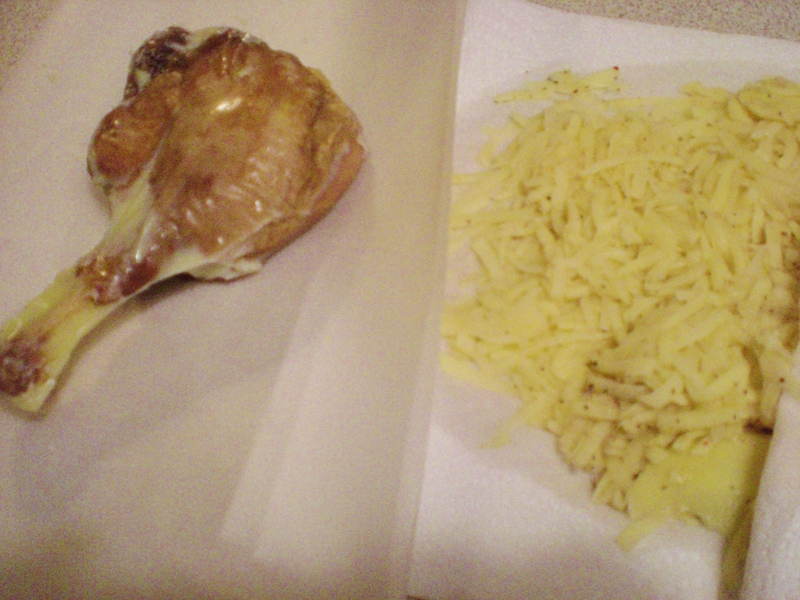 Put the dish in the oven for 25 minutes, and finish under the grill to brown the top of the potato and/or the cheese. This dish freezes wonderfully, so it is worth making a lot. I freeze individual portions. It’s so lovely to have it sitting there when you don’t feel like cooking. You can either freeze just the meat in portions, and add potato later, or the whole thing, cheese and all, before the oven stage. Then all you have to do is unfreeze and heat up. There is a good little children’s cookery book called Les Recettes de Monsieur Parmentier which teaches them easy recipes. 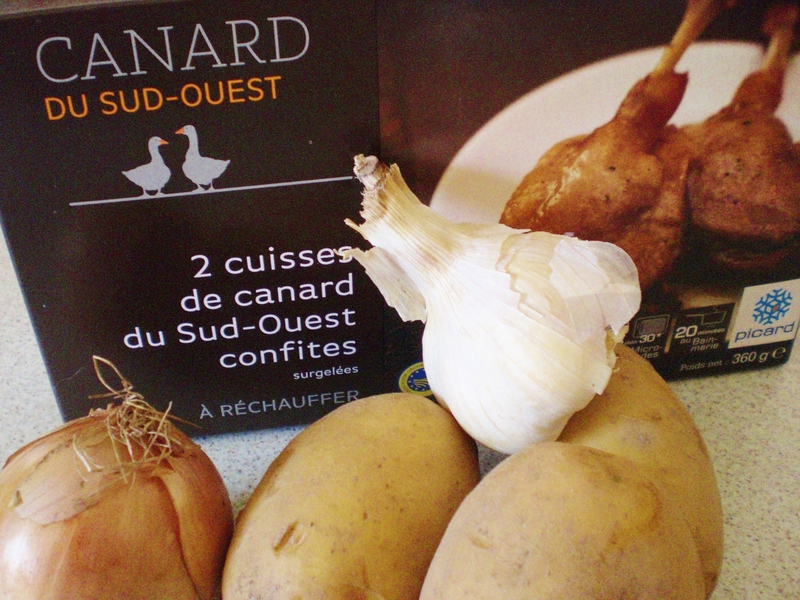 Posted in Adjectives, French recipes, Main courses and tagged Antoine Augustin Parmentier, cheese, Cook, France, French cuisine, French food, French language, French phrases, French pronunciation, French recipes, French vocabulary, French words, Hachis Parmentier, Paris, pomme de terre, Potato. Bookmark the permalink.